For many years I have admired the talents of Crocheters. How they can make something so beautiful with just one hook. So I decided that instead of admiring I should learn how to Crochet myself. 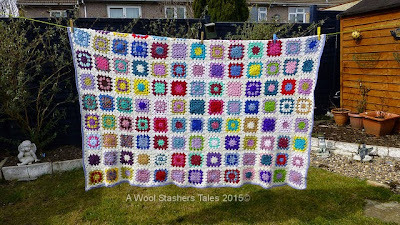 I could do a basic Granny Square so looking at my ever growing wool stash, I decided that by using the odd bits I had from finished knitting projects I would make a blanket. 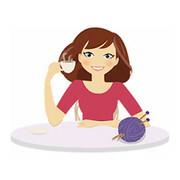 This way I could learn how to use the hook, how to practice my tension and also learn different stitches. 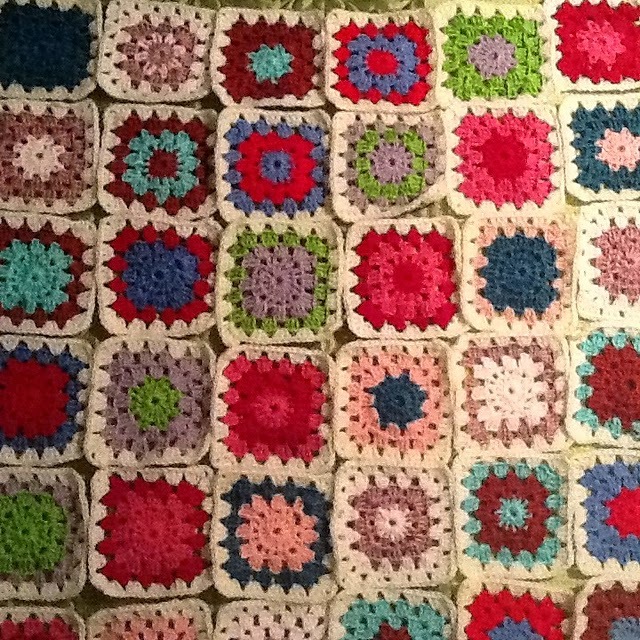 I began my Granny A Day Project. 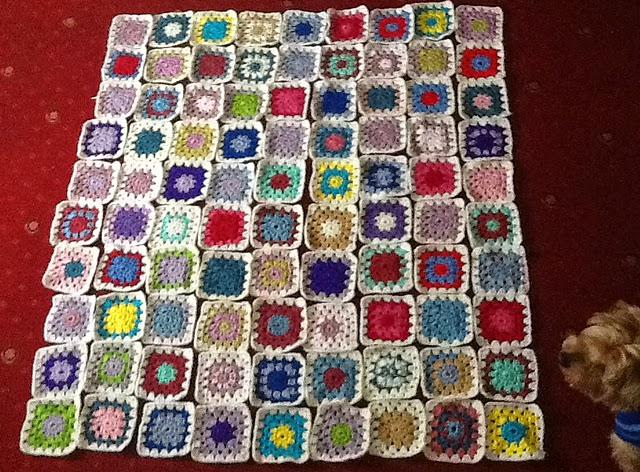 Just by crocheting a simple granny square every day would only take a few minutes, and I could concentrate on what I was doing. I had great fun deciding which colours went together, and even my family got involved by choosing different colour combinations. (who always has to get involved by lying on anything you put on the floor haha!) we swapped colours around until I was happy with the result. Now came the sewing. 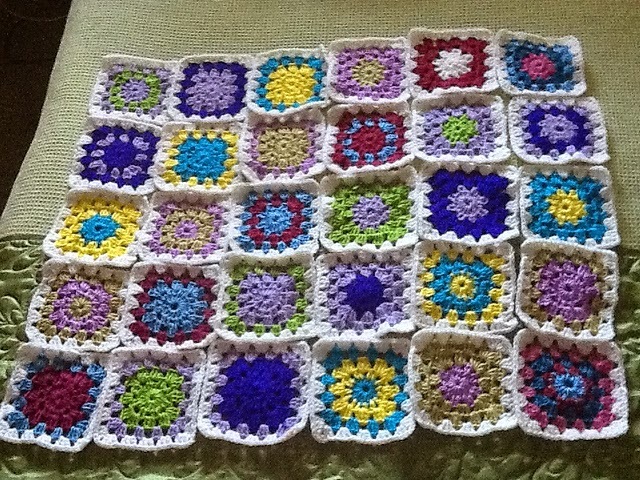 So I didn't forget how we had laid them out, I used my iPad to take several photographs. I decided to sew in strips and then join the strips together. I wa surprised that it only took a few evenings to do and was over the moon at the result. 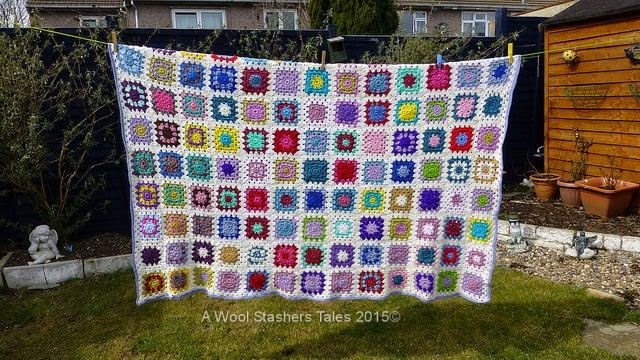 I've had a lot of positive comments about it, as well as requests for one from my mum who has been a crocheter since before I was born, which has been added to my ToDo list.